Find answers to your frequently asked Phoenix Sky Harbor Parking questions. Q: Where is Sky Harbor Airport Parking? A: Sky Harbor Airport Parking is conveniently located within minutes of all terminals at Phoenix Sky Harbor Intl’ Airport. For driving directions or to view a map, please click here. A: Our shuttles run approximitely every 5-7 minutes to and from all terminals, our staff will help you with your luggage and then board you on our shuttle instantly. When you return to Sky Harbor Intl’ Airport, at all terminals, you will proceed out side to the North curb, towards the “Courtesy and Prearranged”sign, which is where our shuttles will pick you up and take you back to your vehicle. Please call after midnight. 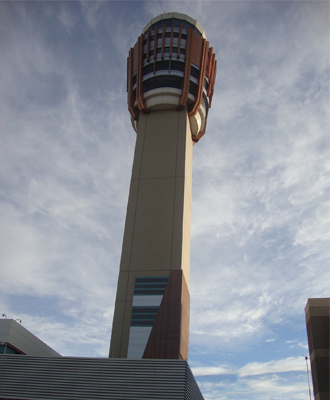 Q: How close is your company to the Phoenix’s Sky Harbor International Airport? A: Sky Harbor Airport Parking is approximately 4 minutes from the airport. When traveling on a domestic flight, the airlines request arrival at the airport two hours prior to your scheduled departure time. For international flights, the airlines request arrival at the airport three hours prior to your scheduled departure time. Although we try and stick with our 7-10 minute rotation, traffic in the airport, weather, and unexpected circumstances may delay the shuttle. Q: How safe will my vehicle be at your company? A: We are a well-lit and secure property 24/7. At night, our drivers always make sure their woman passengers are safely inside their vehicle before they continue on their way. Q: Is covered parking available? A: Sky Harbor Airport Parking offers uncovered and covered self parking. Please click here for rates. Q: What are you regular and holiday hours? A: Sky Harbor Airport Parking is open 24 hours a day, 7 days a week, 365 days a year. Q: Are we able to keep our keys? A: Yes. All parking is Self Park at Sky Harbor Airport Parking.